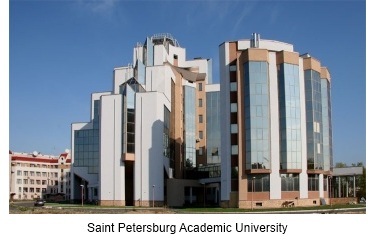 The 10th International Symposium on Voronoi Diagrams in Science and Engineering (ISVD 2013) will take place on July 8-10, 2013 at Saint Petersburg Academic University, Saint Petersburg, Russia. In frame of this Symposium, a specialized workshop "Voronoi Diagrams in Material Sciences and Molecular Biology" is planned, where applications of the method in natural sciences will be discussed. Saint Petersburg is the city where Georgy F. Voronoi studied, and both Georgy F. Voronoi and Boris N. Delaunay worked at the University nowadays called Saint Petersburg State University. In previous years, ISVD was held at Rutgers University, USA (2012), in Qingdao, China (2011), Québec, Canada (2010), Copenhagen, Denmark (2009), Kyiv, Ukraine (2008), Pontypridd, Wales, United Kingdom (2007), Banff, Canada (2006), Seoul, South Korea (2005), and Tokyo, Japan (2004).